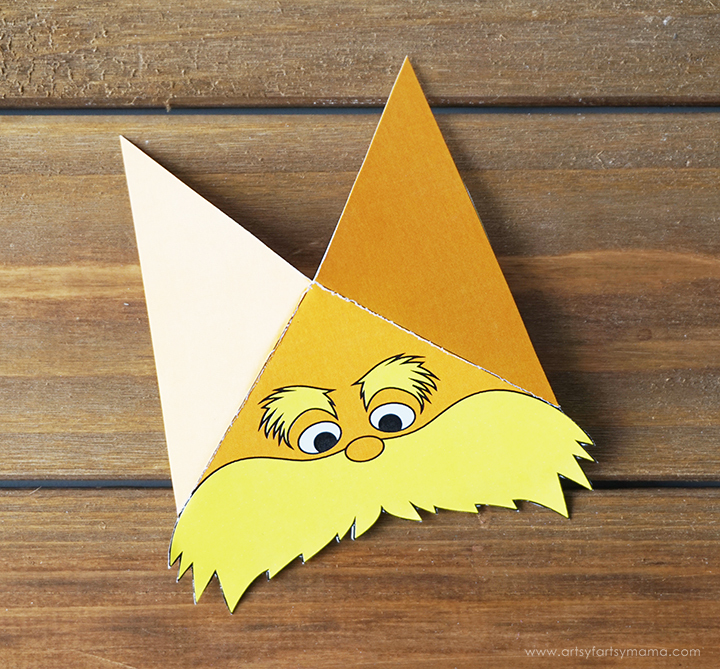 Celebrate Dr Seuss' birthday with Free Printable Lorax Corner Bookmarks! Books by Dr. Seuss were my favorites growing up and I still love reading them with my daughter now. 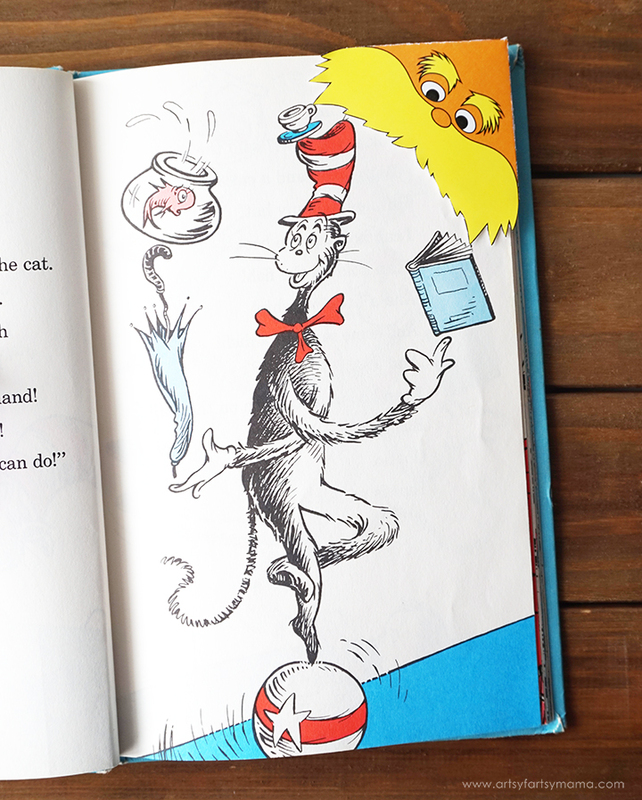 Whether you are just learning to read or have been reading for years, Dr. Seuss books are always a good read. 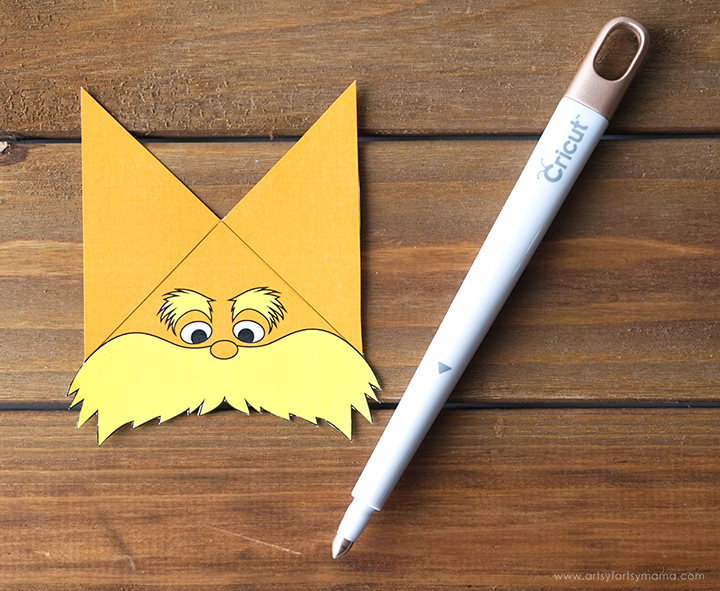 The Lorax is one of my favorite books, so I made a printable Lorax bookmark to save your spot. These bookmarks are easy to make. All you have to do is print it out and fold to save your place or to share with your friends, family, or classroom! 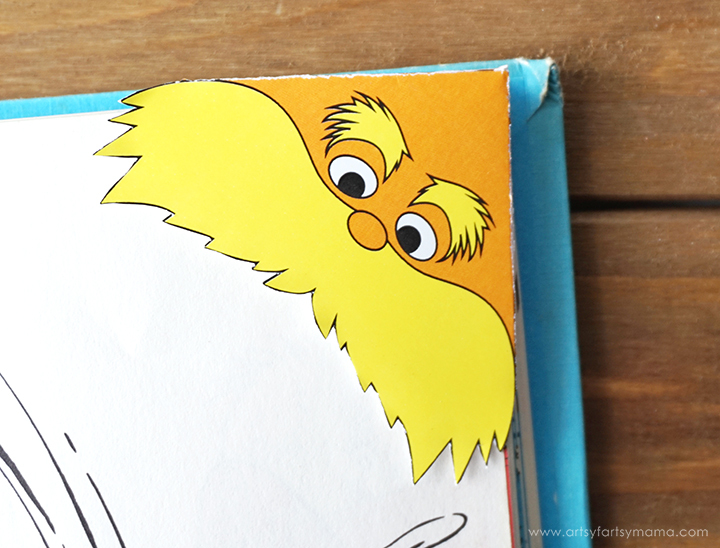 Download and print out the Lorax Corner Bookmark by clicking the link below. 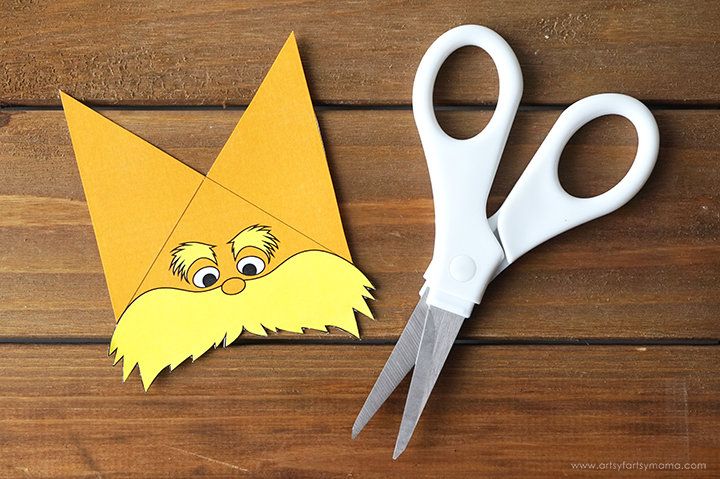 Use scissors to cut out the bookmark. Take your time when cutting around that crazy mustache! Use a scoring tool and a ruler to crease the guidelines. This will help make the paper easier to fold. Fold the bookmark along the lines and crease well. 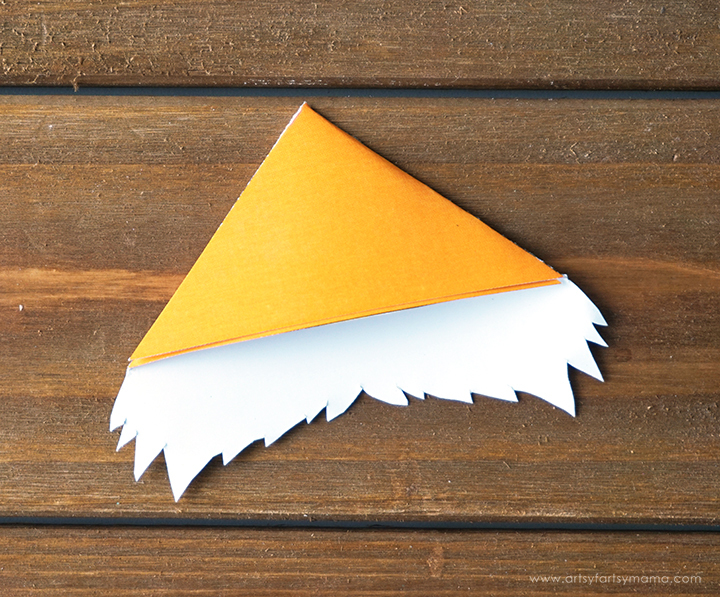 Add some glue or use a tape runner to add adhesive to one of the blank triangles of the bookmark. Fold the other side over and press the paper together well. To use the bookmark, place the corner of the page into the pocket of the bookmark. Now you can close your book and your place is saved! Such an easy and fun bookmark to make! 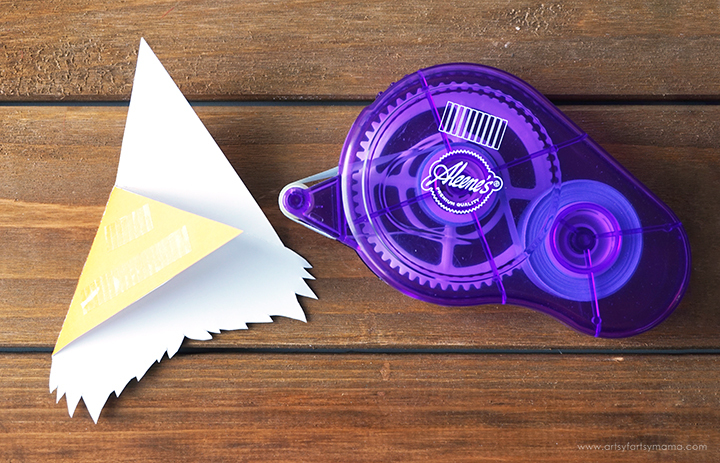 For best results, print the bookmarks on cardstock.